Hmmm, Deus Ex. I’ve got a leather trenchcoat on, some orange juice in a highball glass and I’ve replaced an arm with bleeding edge twig technology from my backyard. Yeah, you could say that I’m a fan of the franchise. Deus Ex: Human Revolution remains one of the high points for me when it comes to video games. But I’ll be the first to admit that the game wasn’t perfect. It did have some rough spots which could have been improved upon. And that’s exactly what the people behind the upcoming Mankind Divided sequel want to do. 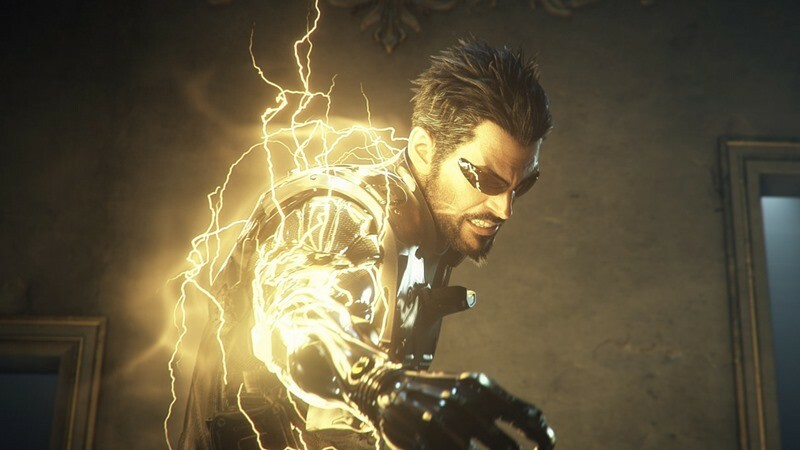 Talking on the PS Blog, Executive Game Director at Eidos-Montréal Jean-Francois Dugas revealed which ending from Human Revolution would be considered canon by the time Mankind Divided begins. “The trailer gives us a good idea of what ending is (sort of) canon in terms of the last game climactic events,” Dugas said. That being said, all endings sport a bit of truth, rumors and whatnot that got spread around the world. So, in a way, the answer to the question is more complex than just identifying one official ending. DXHR and DXMD aren’t stealth nor combat games. They are what you want them to be. It has always been our goal to let you choose the way you want to approach things. And for me, it is important that combat becomes as satisfying as stealth can be. It’s a question of balancing both approaches in such way that everybody can have fun with the preferred play-style. Human Revolution was a game that some people still haven’t played (SHAME ON YOU! SHAME! ), but the sequel will still be open enough for newcomers to experience. “Our goal is to make the new game satisfying for those who played DXHR without alienating newcomers,” Dugas said. The way we’re building the story, the world state, etc., you should have a very good understanding of what happened without having played it. However, if you really want the full deal, you should play HR. Apparently the game is fun. I already mentioned in the past that the reason why bosses weren’t what they could have been is not related to the fact they were outsourced. The boss problems are due to many internal factors and in the end, I had to make tough decisions that didn’t go the way. We did a way better job on the Missing Link and Mankind Divided won’t repeat Human Revolution’s fault on the subject. We’ve already seen a kickass trailer. But as for actual gameplay, you’re going to have to be patient. “For gameplay, it will happen eventually – now, the focus is on the announcement and the trailer. Like we like say: please, be excited! ; ),” Dugas explained. Dammit, I need an augmentation to help me with this idea of “waiting”.